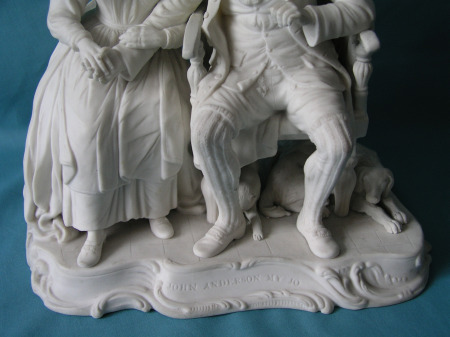 A fine Minton Parian Porcelain Figure Group (No.103), modelled as John Anderson And Wife, seated and holding each other hands, with dog and cat under their seat, on a rococo shaped base. 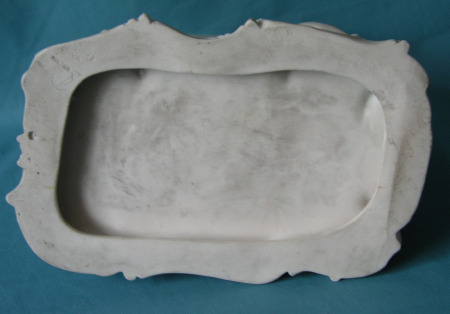 Dimensions: 25cm high x 23cm long. Impressed and incised marks. 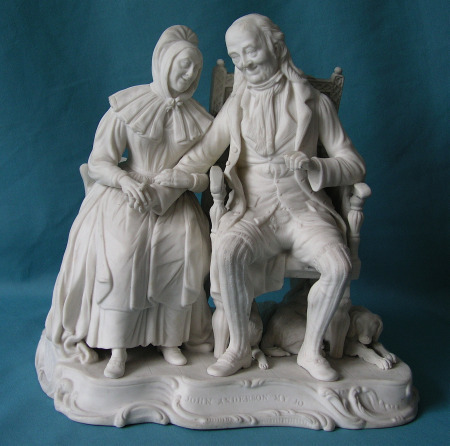 c.1850. Some restoration. * see "Minton Pottery & Porcelain of the first period 1793-1850" by Geoffrey A. Godden, plate 138. 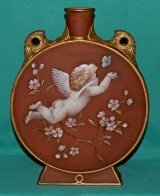 Painted Sevres type mark, used on porcelains made prior to 1816. Printed marks 1824-1836, occur only on pieces bearing some printed decoration. 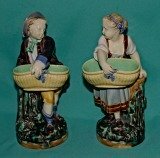 Mark on moulded earthenwares c.1830-40, rare printed mark on porcelains. 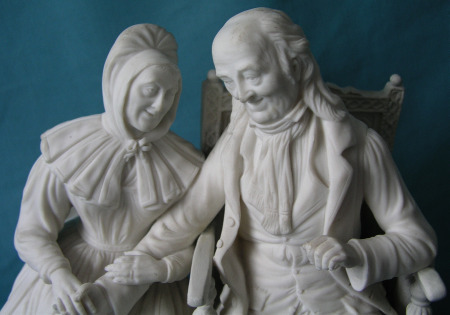 Incised arrow-like mark on early Parian figures mid-late 1840s. 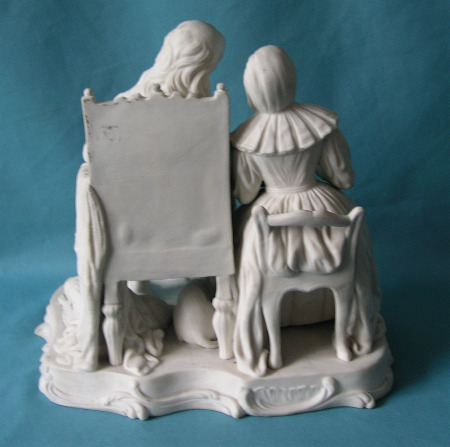 Moulded mark in relief on Parian figures c.1850-60. 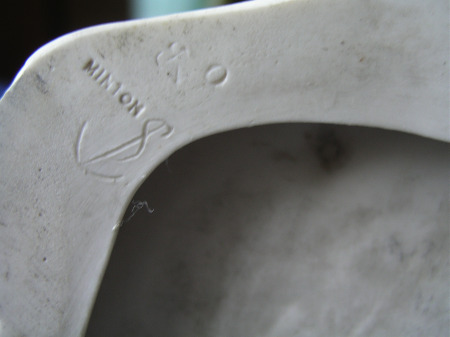 Rare printed mark on porcelains c. 1851. Printed mark c. 1860s, found on the highest quality pieces. Basic printed Globe mark from 1863-73. Revised version of standart printed mark c. 1873 onwards.